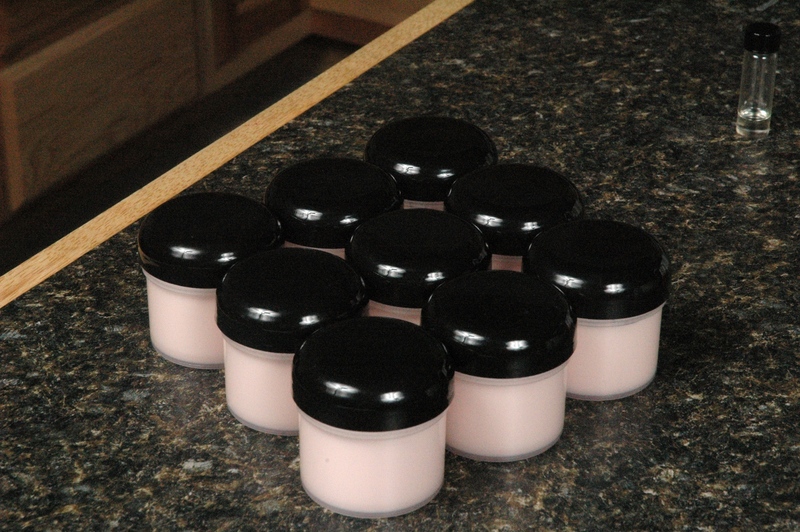 Yesterday, I made a Sparkling Body Butter, but what about those out there that want a light summer lotion, but tell me, “Please! Forget the glitter!” I searched our recipe archives and found a great lotion. Sun-Flower Power is a light lotion that will give you a great summer lotion without making your skin feel heavy. If you live in a dry climate like ours, replace the Glycerin with Hydrovance and enjoy! I’m going to blend Lemon Zinger Fragrance Oil and Raspberry Fragrance Oil so we can make this smell like Raspberry Lemonade! How do you blend a Raspberry Lemonade Fragrance? I like to take one of the Clear Glass Drams and fill it with the fragrances that I want to blend and use the blended fragrance when I need just small amount like this recipe. This glass dram holds about 5 mL, so I will make 4.5 mL of the blend. I’ll use 1.5 mL of Raspberry Fragrance Oil and 3 mL of Lemon Zinger Fragrance Oil. This allows for a sweet lemonade scent with a faint hint of fresh raspberries. 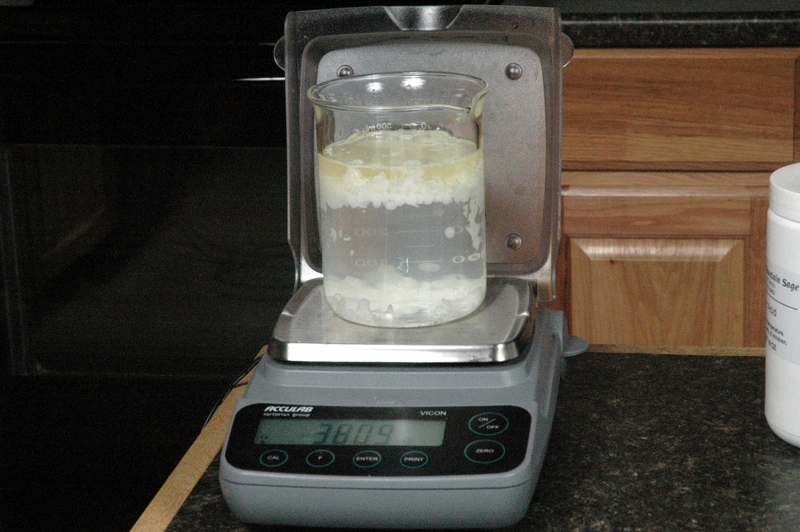 Weigh all ingredients into the beaker except for the Germaben II, Lemon Zinger Fragrance Oil, and Raspberry Fragrance Oil. 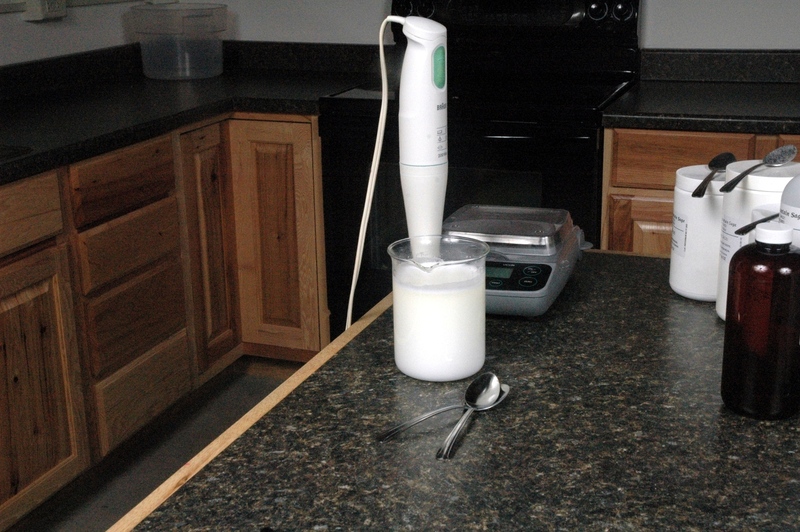 Microwave for short bursts until all ingredients are melted. Once all the ingredients are melted, blend until all the ingredients are mixed well. Let the mixture cool and then add the Germaben II, Lemon Zinger Fragrance Oil, and Raspberry Fragrance Oil and mix well. Pour into the containers of your choice. Shake the cooling lotion to prevent the separation of the lotion. This is a great reason to recruit some helpers. Next week is Hot Process Soap Week! I have two posts now! 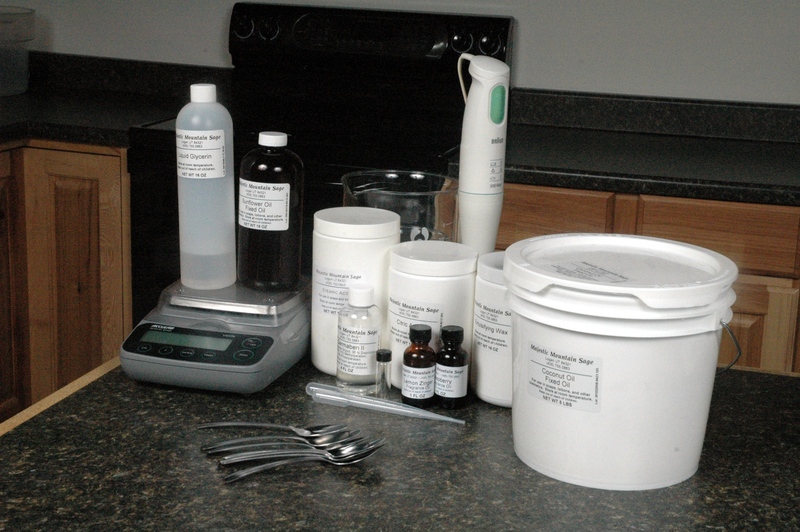 Most of the ingredients weighed into the beaker. 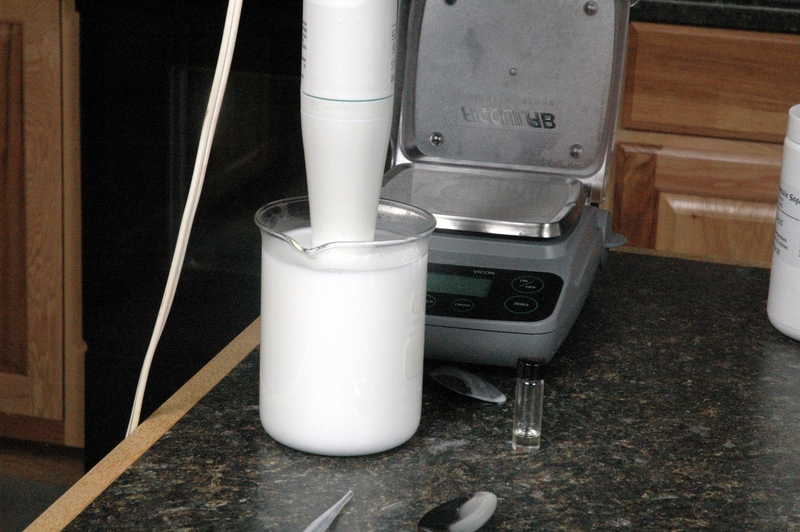 Blending the ingredients with a immersion blender. Blending after adding the fragrance blend and Germaben II. 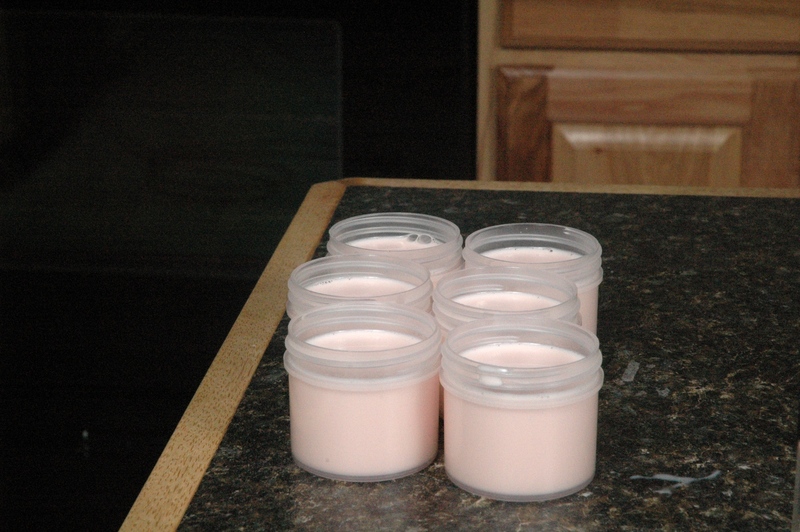 Lotion poured in the jars. What does the Citric Acid do in this recipe? I’ve never used it and am curious as to it’s function. It is used to lower the pH to guarantee the mixture is closer to skin pH. Our water is quite hard and has a higher pH. We add citric to counteract the pH of the water. If you are using distilled water, and the water has been hanging around for a while, omit the citric. Old water is more acidic that fresh water. Which type of coconut oil (76 F, fractionated, etc) is best in this recipe? Hi Eddie. Thanks for your question. Andee used our 76 degree coconut oil in her formulation. Hope this helps!